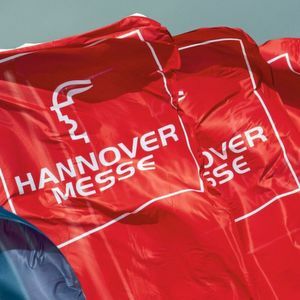 The guiding theme "Integrated Industry - Industrial Intelligence" of Hannover Messe 2019 from 1-5 April 2019 will underline the increasing importance of artificial intelligence and machine learning in industry and the energy sector. This includes topics such as efficient energy utilisation or autonomous production processes and also challenges with regard to interfaces, protocols and safety. International pioneers from the fields of AI and industry will come together in Hanover to discuss and develop solutions for tomorrow. The central desire of lightweight construction is to improve the product or component, for example in load-bearing capacity, efficiency or design. In addition, lightweight construction makes efficient use of resources and materials and reduces both energy consumption and the associated emissions. This increases competitiveness and, at the same time, makes a contribution to climate protection. Companies and associations will be presenting intelligent lightweight construction solutions throughout Hannover Messe, even though the focus on lightweight construction in the Industrial Supply sector will be in Hall 5. Lightweighting Summit: The Federal Ministry of Economics has organised the first lightweight construction conference at Hannover Messe 2019. The top-level meeting with politicians, industry and research on 2 April will focus on the significance, the competitive situation and a strategy for promoting the key technology of lightweight construction. Federal Minister of Economics Peter Altmaier will open the conference and deliver the opening speech. Integrated Lightweight Plaza and Forum: The Integrated Lightweight Plaza in Hall 5 will serve as the focal point for lightweight construction and a marketplace for lightweight construction solutions across materials, processes and industries. Companies, networks, associations and research institutes use the Plaza to show that an optimal lightweight solution requires interdisciplinary co-operation in terms of materials, design and manufacturing technologies. Joint stand Lightweight Construction BW: At the joint booth "Lightweight Construction from Baden-Württemberg", companies from Baden-Württemberg will present their know-how and lightweight construction solutions, including lightweight core materials for sandwich components, precise gears or transmission parts made of plastic or a combination of open die forging and 3D metal printing. The highlight of the joint booth is a very special exhibit: the ILO1. The lightweight concept vehicle was developed in just four months. Lightweight Construction Guide: The Lightweight Construction Guide draws visitors' attention to the many companies which, across the entire Hannover Messe, offer relevant contributions in the field of lightweight construction. Guided Tour: A new offer is the daily Guided Tour called "Lightweight construction technologies in industrial applications". 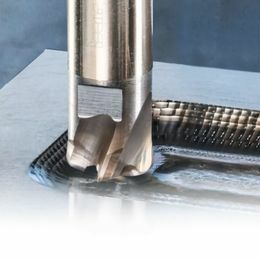 Additive manufacturing, for example, is playing an increasingly important role in surface technology. One reason is that the manufacturing processes result in rough and uneven surfaces. In addition, users often expect an additional surface function, such as wear resistance, electrical or thermal conductivity. The first galvanic coatings of additive manufactured parts already exist. There will also be further synergies with the other exhibition areas in Hall 5. These include lightweight construction solutions, smart materials and bonding and joining technology. 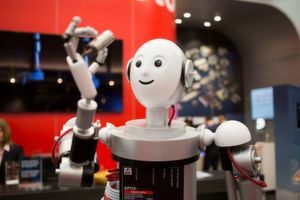 Based on the theme "Industrial Intelligence", the industry will show at Hannover Messe 2019 how it uses artificial intelligence. The focus is on the use of artificial intelligence, Machine Learning and VR/AR. 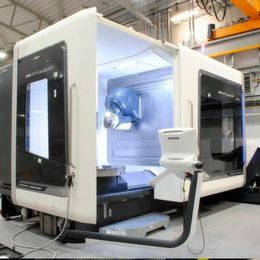 "The networking of machines in production and the development of smart components generate large amounts of data, which in turn form the basis for the use of innovative technologies such as Machine Learning, Digital Twins or VR/AR," says Arno Reich, Global Director Digital Factory of the Hannover Messe team. AI technologies, in particular machine learning and deep learning technologies, are currently finding their way into the factories of the manufacturing industry – challenges in industrial production that could previously not be solved or could only at great expense can now be tackled. One example is the recognition of patterns and correlations based on unstructured data such as images, videos and sounds in combination with structured data from machines. The advantage: Such a link reduces the effort to identify errors or problems. Learning systems form the basis for continuous improvement in production tasks. the one-day symposium Additive Manufacturing, where everything revolves around the use of new 3D printing processes in mechanical engineering, new hardware and materials in generative manufacturing. Whether smart sensors, intelligent drive solutions, modular production, automation in logistics or integrated solutions for intelligent manufacturing - IAMD 2019 will show the close interaction of automation, drive and fluid technology as well as software and IT, and present all modules and solutions for the factory of the future: Production and process automation, industrial IT, robotics, smart drive technology, intelligent hydraulics and pneumatics. To equip one's production with latest robotics technology, the chance here is to meet all the market leaders in Hanover, including Fanuc, Yaskawa, Kawasaki, Universal Robots, Hiwin and Mitsubishi. This area, growing year by year, reflects the current state of co-operation between humanbeing and robot. Keyword Cobots - the robot has long since become man's colleague, not his competitor. 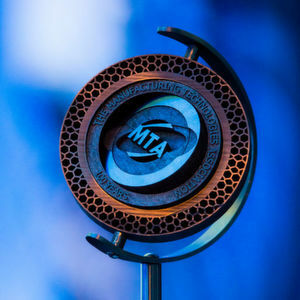 Particularly innovative robotic solutions are again honoured at the Robotics Award. 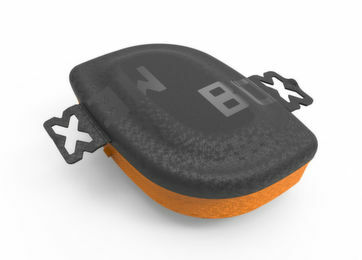 Sensor technology is also at the heart of the integrated, networked and intelligent industry. Whether in energy technology, mechanical engineering or e-mobility - nothing in Industry 4.0 works without sensors. 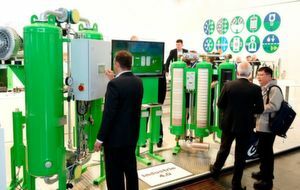 Sensors have meanwhile become the connecting theme at the Hannover Messe. The co-operation between Bosch and Huawei is still a very recent one. In October, the two partners announced that Bosch IoT services will be available in the strategically important Chinese market on Huawei's cloud platform. Bosch and Huawei had also previously joined forces in the Industrial Internet Consortium to promote uniform industry standards, for example. 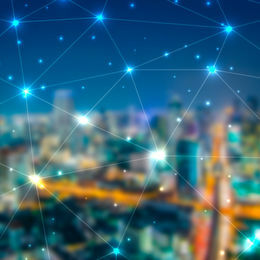 A merger of classic automation specialists and ICT representatives will also be provided by the ZVEI “5G Alliance for Connected Industries and Automation" (5G-ACIA). Their goal is to make the upcoming 5G mobile radio standard industrial-compatible and to establish it in industrial production in order to be able to implement Industry 4.0 even faster in the future. Visitors can look forward to many new developments. For example, high-pressure air makes complex processes in the chemical and petrochemical industries simpler, and storage power plants use compressed air to secure power generated by the sun and wind." Exhibitors will profit in particular by the synergies created with related drive and fluid technology topics. Multimodal sensor technology for industrial robots, powder-based additive manufacturing in zero gravity, energy management for distribution networks or a cold chamber die-casting machine. Whether in production, in the energy sector or in logistics, everything starts with research and development. The Research & Technology area in Hall 2 at the Hannover Messe is a hub for research, development and technology transfer. Research institutions as well as established companies and start-ups will exhibit and present their pioneering work in areas such as artificial intelligence, human-machine collaboration, intelligent energy solutions, e-mobility and bionics. 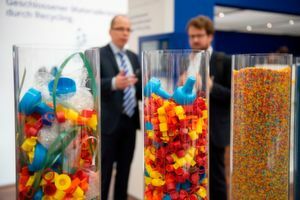 the Young Engineers Day that is jointly organised by Deutsche Messe and the Association of German Engineers (VDI) on Thursday at the trade fair. The career day for young engineers and students of technical sciences consists of individual guided tours, lectures and workshops. It provides an overview of career opportunities and offers direct contact with potential employers. The day ends with the Young Engineers Night. 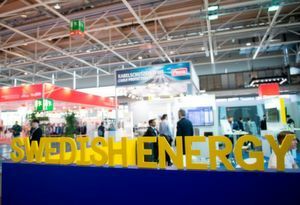 Sweden, partner country of Hannover Messe 2019, will set a strong accent with many participating companies and is also picking up on the changes in the energy industry. For Sweden, flexibility and digitalisation are key to switching the energy system to 100% renewable energy. Intelligent grids are indispensable for the energy supply of the future. The potential of digital solutions in both the industrial and building sector must also be fully exploited in order to increase energy efficiency. This applies just as much to the transport sector and the issue of storage. 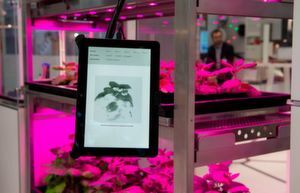 "On the contrary, an increasing electrification of society will be slowed down without digital solutions," says Dr. Verena Adamheit, project manager at the German-Swedish Chamber of Commerce responsible for Sweden's presence at Hannover Messe. Adamheit stressed on the "strong tradition of Sweden in the IT sector, including Ericsson, which laid the foundations for early digitisation.” Additionally, Sweden started very early with the expansion of its broadband infrastructure and continues to drive development forward with an ambitious digitalisation strategy. Generally speaking, Sweden has a very positive climate for innovation; Swedes invest heavily in research, haa an affinity for technology and are enthusiastic about technical innovations and digital solutions. All this has paved the way for the Swedish "tech wonder" à la Skype, Spotify, Klarna and I-Zettle. And in several segments, they are way ahead: The roll-out of smart metering in the Scandinavian country has already been completed, which benefits the rapid further development of smart home applications, intelligent network monitoring and e-mobility. 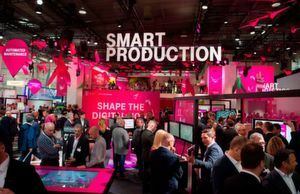 Adamheit assures that Sweden will definitely present interesting new digital business models at the Hannover Messe 2019. This article first appeared on our partner portal Konstruktionspraxis. Deutsche Messe What's new in Hannover?